I've been wanting to make these for ages. I saw them on on Pinterest and other sites and I thought my kid would love to have them (and make them with me). You can invert the colours so that you have some teddies with white face and chocolate ears and some with chocolate face and white ears, as show in the picture below. 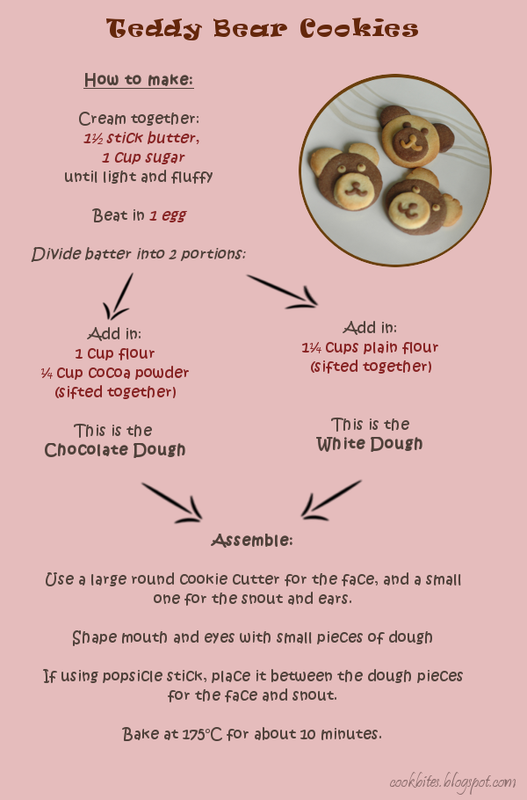 As for the recipe, I adapted it from Sweet Explorations. 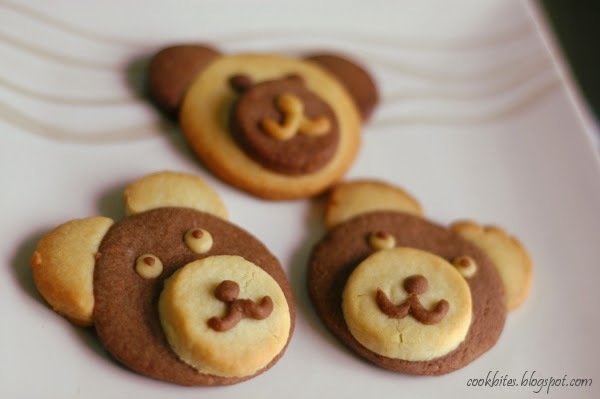 Here's my version of how to make them Teddy cookies.